Posted byAtulHost	 20th Nov, 2018 17th Apr, 2019 Leave a comment on How to Rank Your Website on the First Page? No matter what content you produce, it wont posses any value unless you rank your website on the first page of search engines. With more than 80% market share alone Google is the biggest and most famous search engine and no one can afford ignoring them. When I started this blog I had same problem than everyone else. How do I make Google to find my blog and rank it so that it is visible. Of course I was looking to rank my blog in other search engines as well but Google is always a priority thing for me. I have read thousands of posts about SEO and I did get exhausted. I am not putting much work on SEO anymore. Pro-bloggers probably think it is stupid to ignore SEO efforts, but most of my posts go out without any kind of SEO check (some kind of natural vibe or already doing things according to SEO rules). After studying SEO advises from some experts I made a plan and decided to try. My plan was to create a list of other productivity blogs. Why? I did notice that there was not really list that would be up to date and I believe the list would be good resource, interesting and has the good capabilities to be ranked high in Google. Some experts say that link lists are not good for SEO. They claim Google would consider them as spam. Others say that it does not matter. Google will just take first 60 links and ignore the rest. I have no facts, but it works for me. My page was quickly raising towards the first page in Google, but in the beginning it was “dancing” a lot. I am sure if I would build links or when links build up, it will be ranked even higher and even stronger. I have learned that location of hosting has meaning in which part of the world your page is ranked. So, when checking with browser your SERPs, make sure that you have selected the right location AND use incognito mode so that you don’t get personal (personalized) results. Google can give you search results based on your personal behaviours. How Did I Rank My Posts to the First Page? I am not claiming to be SEO expert at all. This is my understanding why my page ranked and what you should do to rank your content. Like I said, I am not doing much SEO, but all posts I have done SEO in my mind from the beginning have ranked well. I also know if I would do link building they would rank even better. My current understanding of SEO is that it is fairly simple. It is about ten things you need to get right and after that your success depends on your competition. If you are building niche business, the most important thing is right keyword selection! 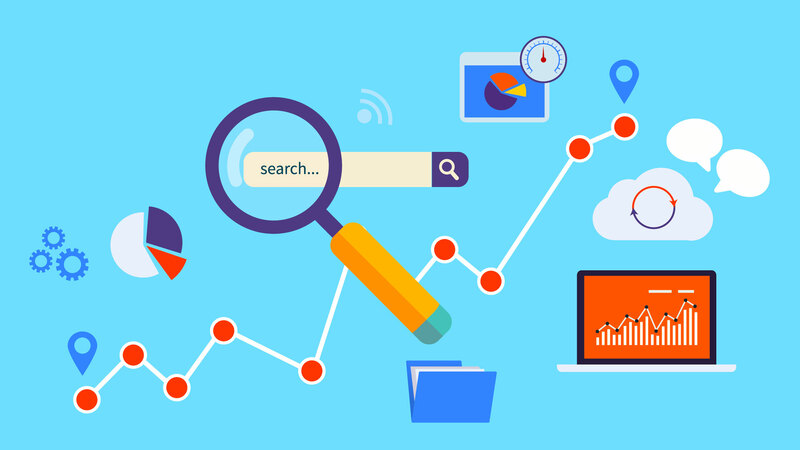 Your keywords need to have big search volume and little competition. It also helps if there are many keywords close to your selected keywords. First of all Google ranks pages. In the beginning I had several posts with keywords productivity blog in headline and visible in my first page. This blog was really high when you searched productivity blog. After I have moved forward and created posts wider rank of topics ranking has dropped. If I want to rank root domain of this blog the key thing is just what keywords I have in front page. Google ranks content based on relevance and easiest way to detect the relevance is to check what pages link to the page and to which pages the page itself links. Obviously if I have page with links to productivity blogs even the dumbest search engine can realize that the productivity is the topic. I did choose one keyword pair I wanted to rank. The keyword pair is productivity blog. If I would be niche site expert in chase of huge traffic it would not be a good choice. That is not good keyword combination, since it does not have volume of searches. Surprisingly productivity blogs are not searched that much compared to many other topics or blogs. You can search keywords with Google’s keyword planner tool. Anyway, I wanted to rank something that makes sense with my blog. This is a productivity blog, so it cannot hurt if it can be found with Google with words “productivity blog”. In chase of traffic it is most important to pick right keywords. You can easily rank lots of different keywords, but the income is in traffic and in conversion. If you want to make money choose keywords that have huge search volume, small competition and big CPC. Your keyword should exist in three places. It should be in the url of your post, in headline, and in text. I have also inserted it to meta data of page with help of SEO plugin. Yoast advices to place keyword also in Headings (like h2, h3), alt texts of images and in the first chapter of your page or post. Experts give different advices for keyword density. In general it should be less than 2%. Spencer Haws from NichePursuits places keyword only once in the text and it seems to produce good results. It is widely accepted idea that Google includes social media to rankings as well. Again, I don’t have facts, but when I received few likes and retweets in Facebook and Twitter, the page jumped up. Some people have done experiments with likes, shares and votes by creating similar content and then giving them votes. It seems that if others like your content, it will raise up in rankings. I already covered outgoing links in relevance. You should have outgoing links to similar content so that search engines know what your page is all about. They also help to get people to your blog to see where it is linked from. I have not done link building. If you get links from pages that have high “Page Rank” they will improve your rank. The link quality has big meaning, but also the amount. But the below picture shows link amount is not everything. My page is high with relatively small link count. I am not sure if I have quality links either and I believe my ranking is mostly based on the factors above. However, links with proper variation of anchor texts will help and you should have them. Your anchor texts should include your keywords, but do not over do it. I don’t know what is proper amount of exact anchor texts, but the experts say that too much exact matches is suspicious. You should not build links too fast either. Everything should look “natural”. Link your page also internally inside your site. It is easiest way to build links. They are not valued as highly as external links, but they help anyway. They also help your readers and site visitors to find the content you have produced and your bounce rate will improve, which means more page views. You might ask does it make any sense to create page that sends incoming traffic out from my blog? Good thing is that the page is now ranked in Google and people are bookmarking and even sharing the page. It is also ranked with relevant keywords. Some of the bloggers have visited to see the list, since they have seen incoming traffic from my blog. That is good, since some of the key persons from my niche now know that my blog exist. I think it is first step creating contacts. In general I think it brings more positive than negative things. What do you think? Did I leave something out?